These are the songs I remember from my early childhood. Love how these artists have put their own spin on these classics. Each is done in a wonderfully unique style. My favorite is “Shoofly” Cajun style. Would make an absolutely adorable gift for the kids in your life. Such an eclectic mix of music styles. I love this CD. 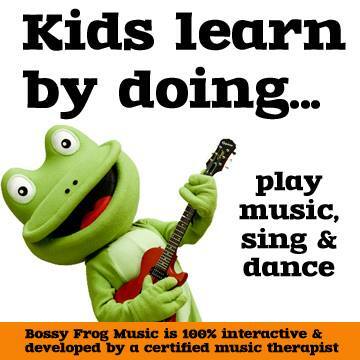 Want to give a listen click on the Bossy Frog website link at end of review. 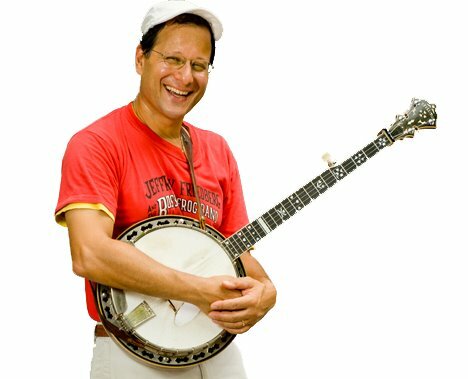 Award-winning children’s musician and certified music therapist Jeffrey Friedberg has invited some of today’s best performers of Cajun, bluegrass, rockabilly, jazz, Irish, roots, African, Cuban, soul, funk, and folk music to join him in putting together a collection of songs that every child should know. 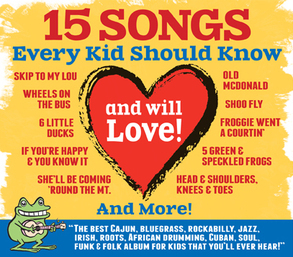 15 Songs Every Kid Should Know (and will Love! ), the first in a projected series of “15 Songs” recordings from Friedberg’s Bossy Frog Productions, is set for release on August 6. The fifteen classic children’s songs on 15 Songs Every Kid Should Know (and will Love!) form a body of work that seeks to preserve our heterogeneous culture, like an old-time potluck where people come together to show off their distinctive gifts and to relish the contributions of others. Want to keep up with all things Jeffrey Friedberg and The Bossy Frog Band? You can like em on Facebook and follow em on Twitter. Ready to buy? Head on over to Bossy Frog’ Band’s website and get ya a copy of two.